Join us for a complimentary hands on test drive to learn the basics of SOLIDWORKS 3D CAD software in a 3 hour session run by one of our Certified SOLIDWORKS Instructors. Each participant will have a workstation set up with SOLIDWORKS 2018 installed on it, and will be taken through a test drive of the software highlighting the key features and functionalities. This session is aimed at new users or existing CAD users that have been using other CAD systems and would like to experience the SOLIDWORKS platform firsthand. 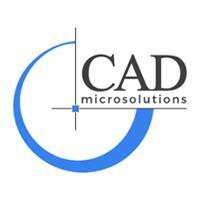 Why consider SOLIDWORKS over other CAD systems? But don't take our word for it, join us for this session so we can show you. Who: This session is aimed at new users or existing CAD users currently using a different platform, who are interested in trying out SOLIDWORKS for themselves. Feel free to invite your colleagues or team members to join you! Classes are kept small so please RSVP by August 8th to save your spot. We hope to see you there!